Which is the most promising platform and with an innate quality of being an ideal tool to do cross-platform development? One might ask, ‘Why cross-platform’? Well, to be honest, technology has constantly been living on the edge of its time which has significantly increased in the last few years resulting in tech-evolution. At this point, it is utmost necessary for businesses to stay competitive and needs to have a versatile application that would allow them to have an advantage over their peers. Moreover, developing an application once and publishing them on multiple platforms aka cross-platform development, ultimately results in higher profits as the said business can have higher visibility in a more wider target audience network. Most importantly, Xamarin which is recently been acquired by Microsoft is an ideal tool to do cross-platform development. Xamarin Studio offers modern and distinct features for creating iOS, Android, Windows and Mac applications. It is equipped with rich editor, debugging, native platform integration and integrated source control and also test cloud for testing across devices. It has one of the most sophisticated IDE. Our developers are technically expert in working on Visual Studio which integrates Xamarin natively to ensure fully compliant and adhering .NET portable class libraries. Also, our team is well disciplined in testing the consistency and agility of these apps using Xamarin test cloud and then only we consider the application ready for deployment and release. Moon Technolabs is a Top Xamarin Mobile App Development Company, helping small to medium & large organizations by developing cross-platform enterprise mobile app using the Model-View-ViewModel (MVVM) architecture pattern. We have state-of-the-art infrastructure facility with access to iOS & Android APIs with expertise in code reusability and data structures for every platform. Powered by C#, we can help you build engaging cross-platform mobile and tablet apps for your business and target a wider audience to attain maximum financial gain. 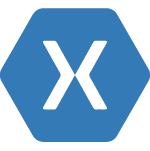 with End-to-End Xamarin development services. Xamarin presents few sheer benefits for developers such as API Integration, Xamarin Component Store and not only advantage of C# but also they can share as much as 3/4th of the code across various operating systems. This results in being time-efficient and prohibits bugs to cause any malfunction. Also, one can be benefited with 30% and 40% reduction in the cost of development and maintenance respectively. Our Xamarin team of developers uses the latest tools and technologies so as to provide your business with an extremely powerful cross-platform app. We craft our esoteric logical approach pertaining to the customized & personalized need requested by our valuable clients. Keeping top-notch quality parameters for years has turned into a habit now and hence, we absolutely like to lend our ears to shape your business plan/idea into reality apps that offer exceedingly well usability and great potential for your business processes. You can expect fully integrated and innovative Xamarin development proposals from Moon Technolabs. Our attention is to encapsulate on the various & feature-rich Xamarin platform to exponentially expand your presence to global targeted market and respective industry audience.